When you write a cover letter and you know for sure that it won’t be received directly by employer, but someone from HR department, you need to take into account his expectations. Many cover letter writers don’t even suspect that every recruiter has special requirements to the cover letter content. Your writing style can be very convincing and colorful, but if you haven’t mentioned the key points in you covering letter, it can be sent to a dustbin without a glance. How to avoid such unpleasant situation knows Resume Writing Service! We asked recruiters to share with us their requirements to cover letters! It’s evident that without providing your contact information, cover letter writing makes no sense. General covering letters addressed to the entire company don’t deserve recruiter’s attention. You aren’t writing to a recruitment agency, which has to offer you some positions, you’re applying for the exact position, don’t forget about that. For large companies desired work location is very important: they can have a job for you near your home and some similar positions in other states. If you don’t have any priorities on this point, you should demonstrate your willingness to relocate. Recruiters don’t assert that highlighting the reason why you’re on the market is required, but it is strongly recommended, especially if you’re having a long gap in your work history. Salary history can be requested as the application requirement, but even if it’s not mentioned in the cover letter to recruiter, a salary request is that kind of information that recruiters expect to receive. 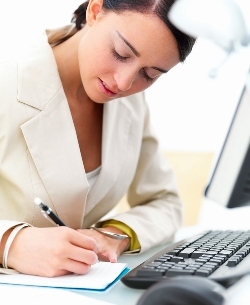 Cover letter writers should include to their letters information about when they can start working. If you’re a passive job-seeker, you can mention the position and company you’re currently working for. Pushing job-seekers usually find their place much faster. Essential thing that they mention in their cover letters is the time, when they are available for interviews. Follow their example: be active and don’t be modest. It’s your time to go into action! Our cover letter writers will help you steal the show!